The BAG exclaiming Oh Deer! 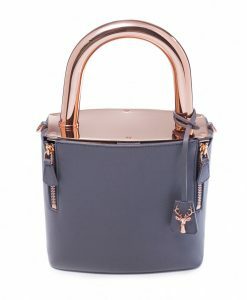 becomes recently one of the most wanted among fashionistas and bag lovers all over the world. SAVAS bags have everything that a woman needs – beautiful design, amazing colors palette, particular and recognizable symbol, top Italian quality, impeccable leather dressing and eyes on the streets catching and following you. Here in Milan we met founder and creative designer of the brand – Rasmus Ringberg to ask him how he managed to conquer women’s hearts in such a short period of time. “Hello, Rasmus. How did you start to do bags? Why did you choose fashion path?” “I have always been enthusiastic about leather dressing and fashion bags. Before studying I worked a lot in boutiques, and once I graduated from Marangoni Institute I was assumed in Hermes. 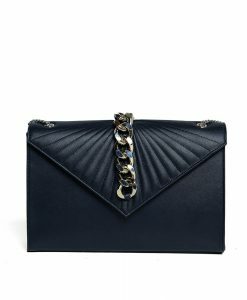 There, in the heart of luxury bags and leather accessories, my passion for leather grew strongly. My family in Sweden has a tailoring factory and production, and I learned a lot from them in terms of production chain. I was always dreaming of doing my own business, and the idea of creating bags was born as a synthesis of my experience, family traditions, background and my own personality”. “So do you control yourself all the production line?” “Yes, of course. This is my priority. I control everything – from the leather choice, quality control and leather-dressing”. “And where are your bags being produced?” “In Tuscany, near Florence. This is an Italian region specialized for hundreds of years in leather dressing. All famous luxury bags brands are producing there”. “Perfect match – best place in Italy for bags”. “Best in the wolrd, I would say. Savas brand is tangle of Swedish simplicity and Italian artisan traditions. I will never leave Italy in terms of production. My bags are 100% Made in Italy and it will always be like this. These traditions and highest quality can never be reached anywhere else”. “Is your family happy for you? How big is your family?” “Of course. 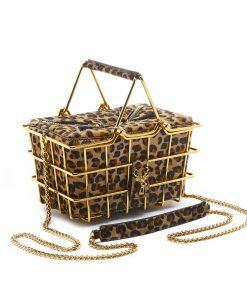 My family is very big.” “I belive your sisters should be extremely happy to have brother like you, who creates such beautiful women’s handbags!” “They are!” “Do they wear your bags? What models do they love?” “Sure. 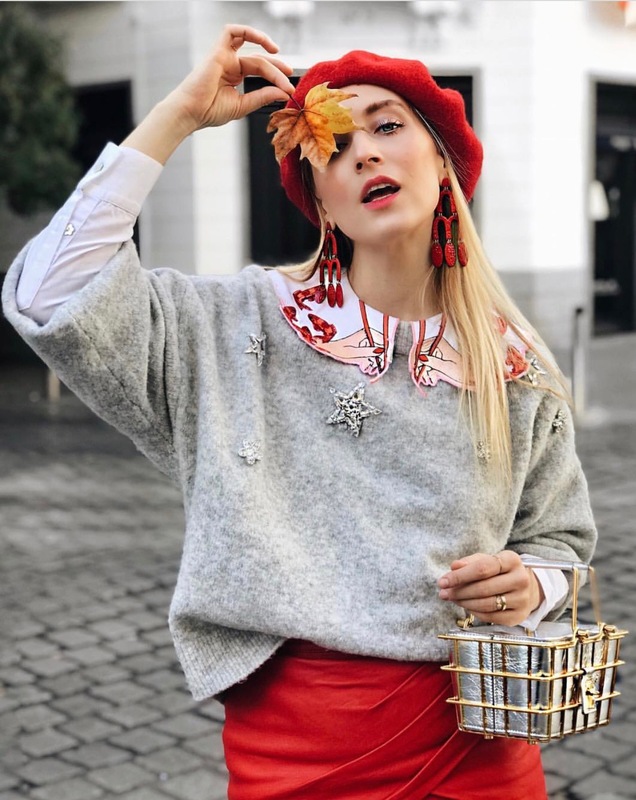 They wear a bit of everything, but prefer more classic models that they can wear every day – like Anna Karin (*tote), Filippa (*shoulder bag), Filippa mini (*chain bag)”. “By the way, the names that you give to your bags – where do they come from?” “These are the names of all the women in my family – my mother and my sisters.” “What’s your mother’s name?” “Sonya Anna Karin Savas. But for the moment I don’t have any new names… Until I am not married (*laughing). Actually in a new Spring Summer collection there will be two new models – Estelle and Leonore. These are the names of two princesses of Sweden – the smallest ones. And Princess Madeleine has 3 of Savas bags”. “Amazing! The design of your bags as well as the symbol of the deer are very particular. Why did you choose this symbol?” “When designing the symbol of SAVAS brand, I wanted to transmit descretly that I am originally from North of Europe. And the deer itself is a very beautiful and graceful animal”. “What are you future plans?” “My dream is to present total look one day – womens ready-to-wear line. But the bags will always be number one for me”. Now you know who stands behind these bag-beauties – young and talented designer, Rasmus Ringberg. He owns big talent, huge experience, he gained family and country traditions, and today he is the one to write his own story – story of SAVAS, amazing bags family with beautiful names, design and future of course.